Luxurious property with lots to do. Well-known thalasso (water) spa treatments of all kind. Outstanding spa, thought out to near perfection. 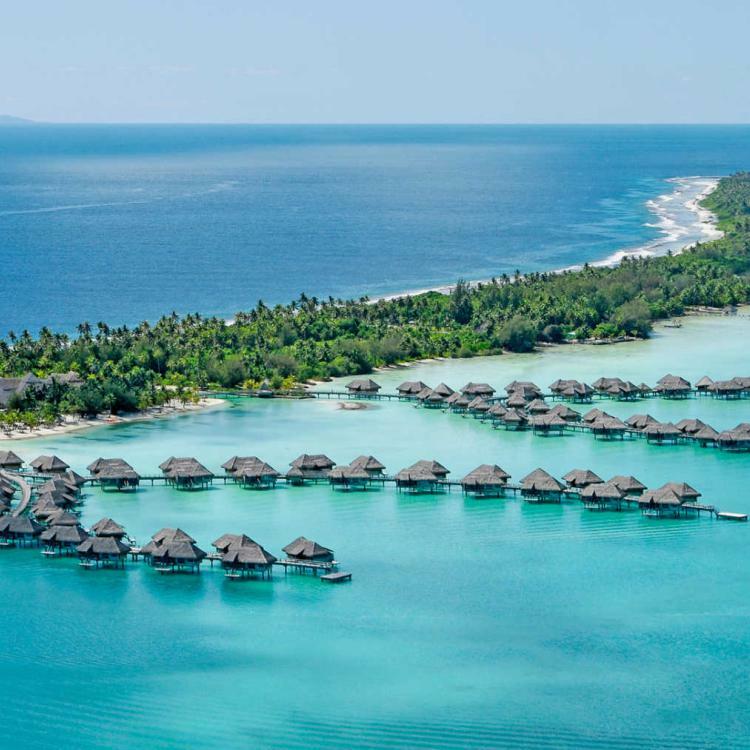 Set on an islet overlooking a lagoon, this upscale beachfront resort is 6 km from both Bora Bora Yacht Club and scenic Matira Point. Featuring thatched roofs and vaulted ceilings, the polished villas are built on stilts over the water. They come with Wi-Fi, flat-screen TVs, living rooms and outdoor showers, along with shaded terraces and sunloungers. All also offer private pontoons and lagoon views. Breakfast (fee) can be served in-room or in 1 of the 3 informal restaurants that include a beach option. There’s also a spa, a beach bar, and a chic bar with 3 lounges and views of the beach, an outdoor pool and the lagoon.